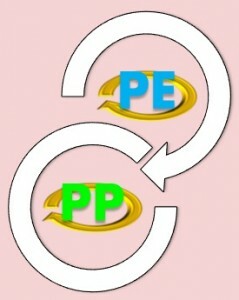 Although major overseas producers have revealed their April PP and PE offers with three digit decreases to China when compared to March, these reductions have already been priced into the spot market and did not generate any major changes in the overall PP and PE price ranges this week as per the pricing service of ChemOrbis. Indeed, these markets have been stabilizing on a week over week basis on the back of the firmer stance domestic producers have been taking recently. Rebounding crude oil prices as well as the recent modest gains of the spot ethylene and propylene markets helped domestic producers take a firmer stance against the prevailing bearish sentiment. In the upstream chain, crude oil prices have been steadily edging up after hitting the $90/barrel threshold in early March. Crude oil futures for May have been trading above $97/bbl recently, the highest level seen since mid-February. When looking at the monomer markets, spot values have posted small gains this week on the back of diminishing supplies stemming from the lower operating rates of regional producers. Spot ethylene prices on CFR Far East Asia basis are now standing $20/ton above late last week while spot propylene on FOB Korea basis nudged up by $10/ton on the week. According to market players, if it wasn’t for the poor demand from the downstream PP and PE markets, the current limited supply would cause larger gains in monomer pricing. A PE converter based in Gansu stated, “Local producers raised their prices, but offers from distributors were mostly stable this week. We are running our plant at 50% capacity and are only purchasing when we receive new orders for our end products.” An agricultural film converter commented, “We do not find import prices attractive for now given the delayed delivery time and high costs relative to local cargoes. Prices are stabilizing now that local producers are holding a firmer stance on prices, but discounts can still be had for firm bids.” As a result of the upward adjustments of domestic PP producers in China, local prices came back towards the levels seen at the start of the month, regaining the earlier lost ground. This also caused the premium carried by imports over local homo-PP prices narrow further this week. Players expect to see a mostly stable trend for both markets in China for the near term, although discounts are still believed to be obtainable according to ChemOrbis. Lackluster demand and concerns about the upcoming start-up of ExxonMobil’s 1.3 million tons/year PE plant in Singapore in particular may put a cap on firmer expectations, believe players.